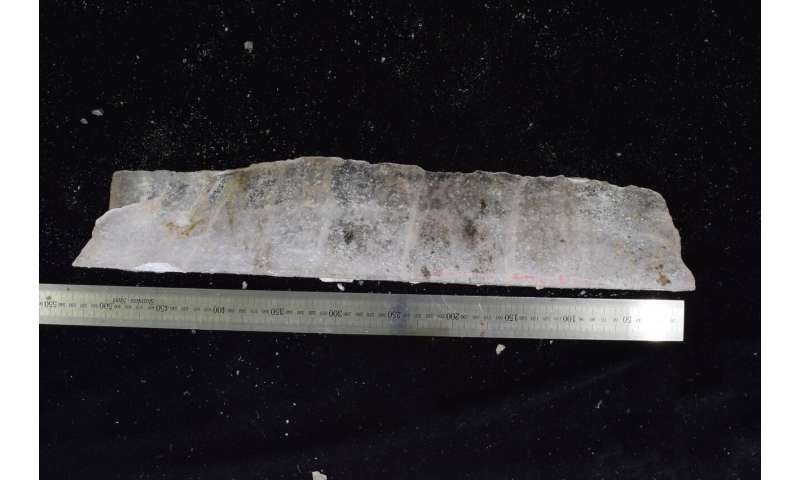 A section of an ice wedge extracted from the northern Alaskan tundra is providing insight on the region's geological history. Credit: Yoshinori Iizuka, Hokkaido University. Scientists have long studied ice core samples from large permanent ice masses in the Antarctic ice sheet around the South Pole, and in Greenland near the North Pole. These samples contain relics from our climate's distant past, such as ions, dust particles, sea salts, volcanic ash and air bubbles, which can give us information on how Earth's climate has changed over thousands and thousands of years. Now, a research team led by Yoshinori Iizuka of Hokkaido University's Institute of Low Temperature Science has found a way to investigate the geological history of areas near the north Arctic sea, which had previously been difficult using standard methods. This map shows the current sea level around the Arctic region, with BIWS indicating the location of the ice wedges near Barrow, Alaska. Map provided by the Japan consortium for Arctic Environmental Research. Credit: Iizuka Y. et al., Ion concentrations in ice wedges: An innovative approach to reconstruct past climate variability, Earth and Planetary Science Letters, March 26, 2019. 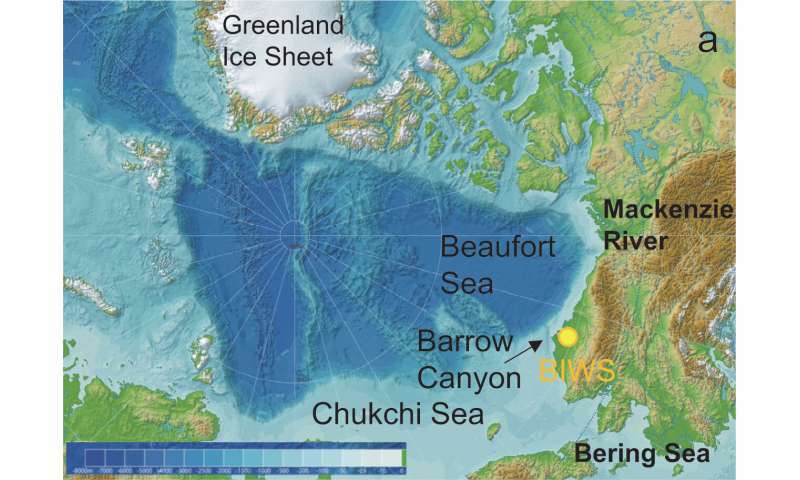 The team concludes in their study in the journal Earth and Planetary Science Letters that further studies of MS, bromide and sodium concentrations in other permafrost ice wedges could help scientists reconstruct past Arctic sea-ice conditions. In addition, according to Dr. Iizuka, "Understanding the mechanisms behind fluctuations in the Arctic sea ice provides a useful foundation for developing future strategies related to the Arctic region."